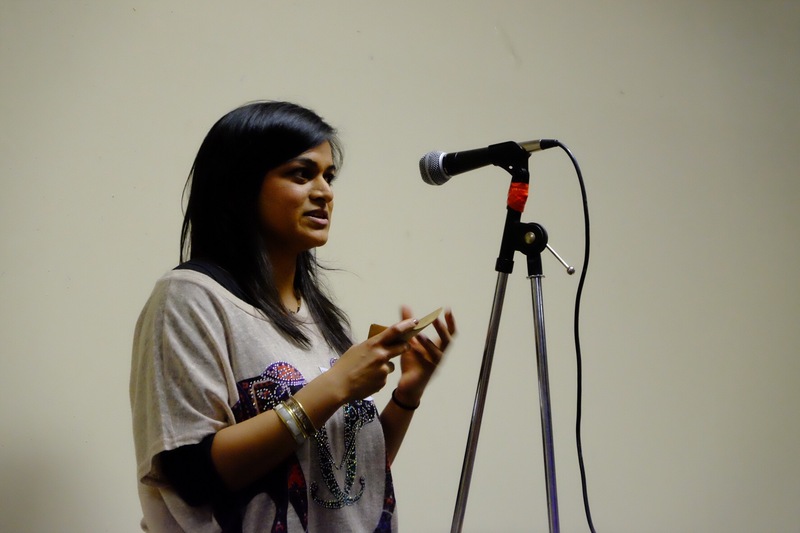 Al Waalis Restaurant (at the end of the station car park) is hosting comic poets Anwar Masood and Khalid Masood in a charity dinner on Saturday 11th April from 18.00. 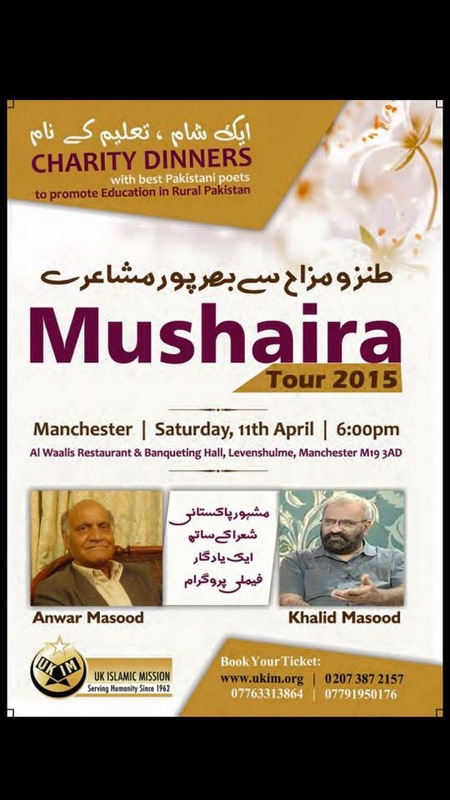 The event is part of the Mushaira Tour 2015 organised by the UK Islamic Mission charity to raise money to promote education in rural Pakistan. These are the candidates standing in the 2015 local and national elections. Both Levenshulme and Gorton South are listed for the local elections because Levenshulme is covered by both wards and the Levenshulme ward alone does not include all of Levenshulme. You can find out which ward you are in for council elections HERE. 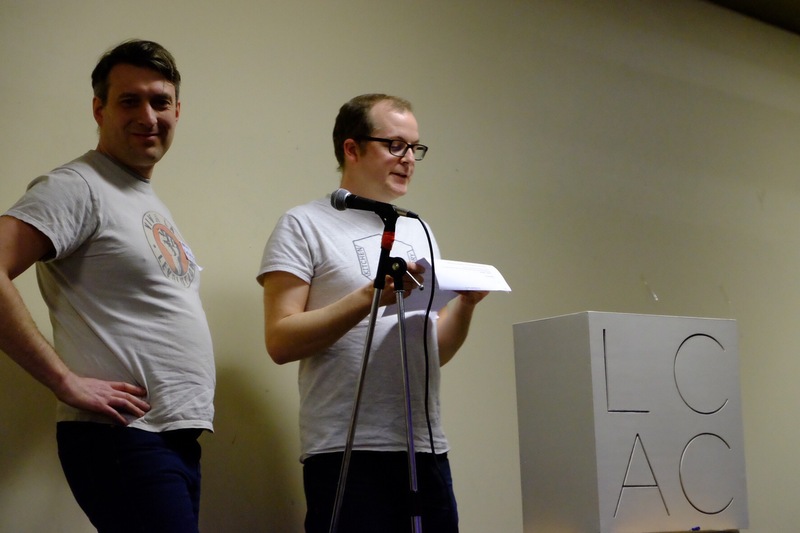 Levenshulme Community Association is an apolitical organisation. Any mention of candidates or elected representatives by the LCA is for information purposes and should not be taken to imply an endorsement of any individual or political party. 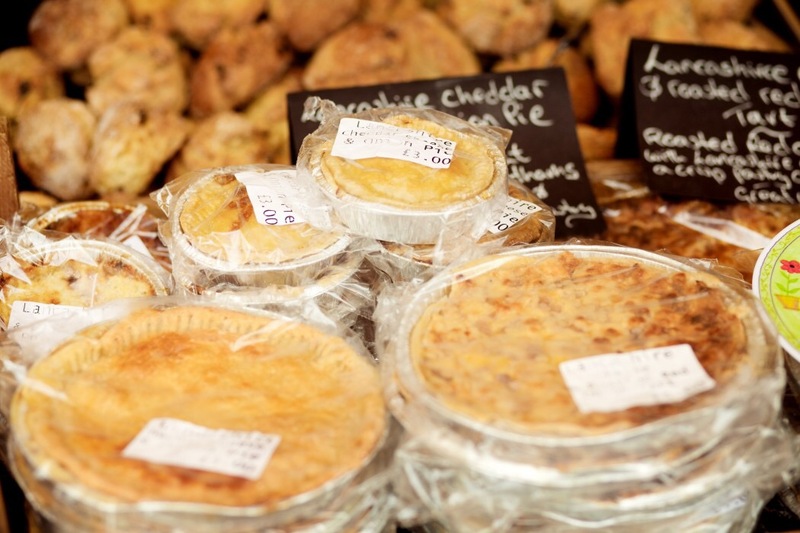 Levenshulme Market is one of only three finalists in the prestigious BBC Food and Farming Awards 2015 market category. 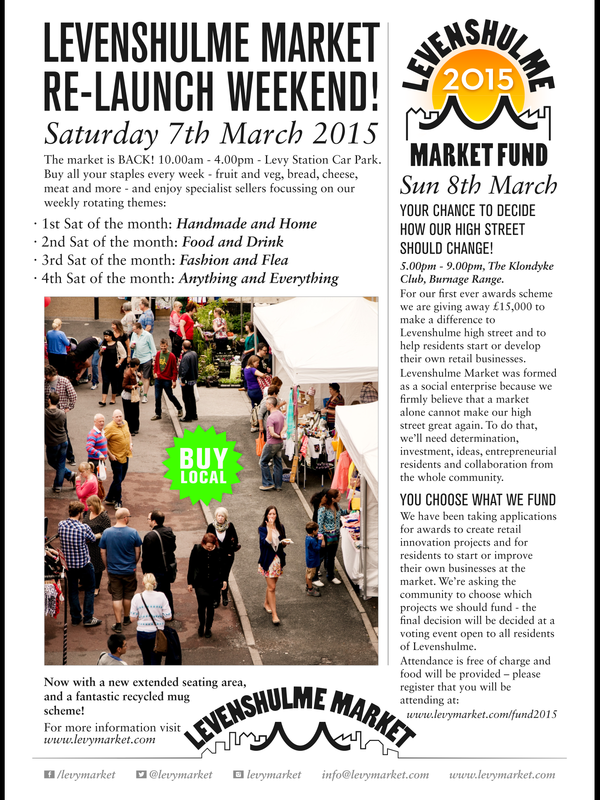 The weekly market has been recognised for pioneering work as a social enterprise which helps to empower its community to take ownership of the high street in Levenshulme through its Market Fund, launched this year, as well as being providing a “diverse range of high quality traders, with a changing roster of 50 artisan traders, [including] a variety of fresh produce and street food” and developing the market into a quality destination for food and drink retailers that has changed the face of markets in Manchester. 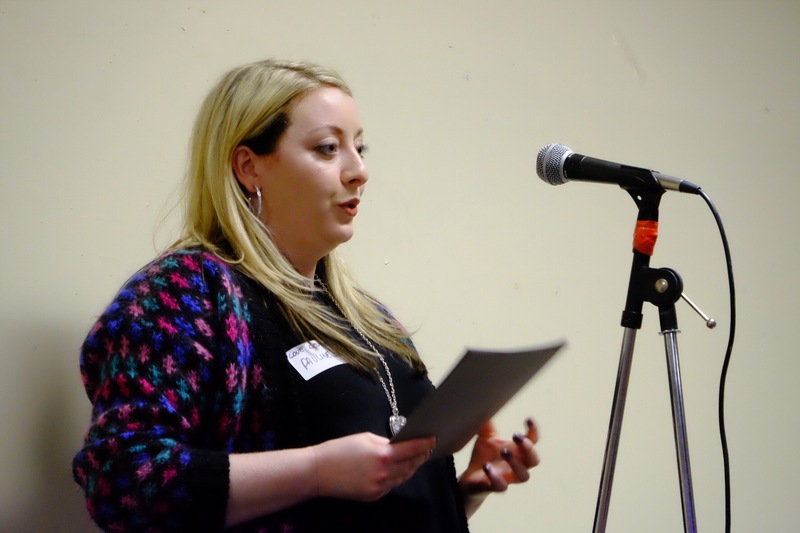 This year Manchester Communities Together will showcase the diversity of local opportunities and inspire you with new ways to get involved in your local neighbourhood. Attendance is limited so please reserve your place for this interesting event by Thursday 19 March. 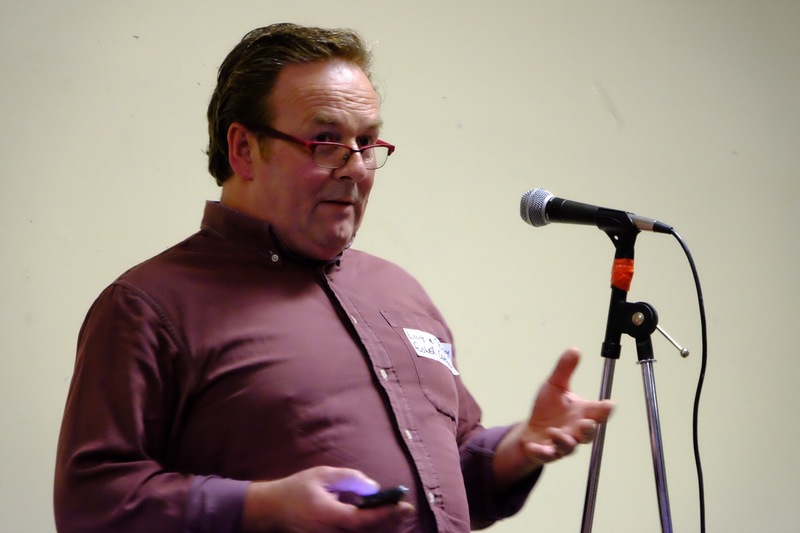 with your name, telephone number, the details of friends coming with you, accessibility considerations and express your interest in one or more of our workshops. 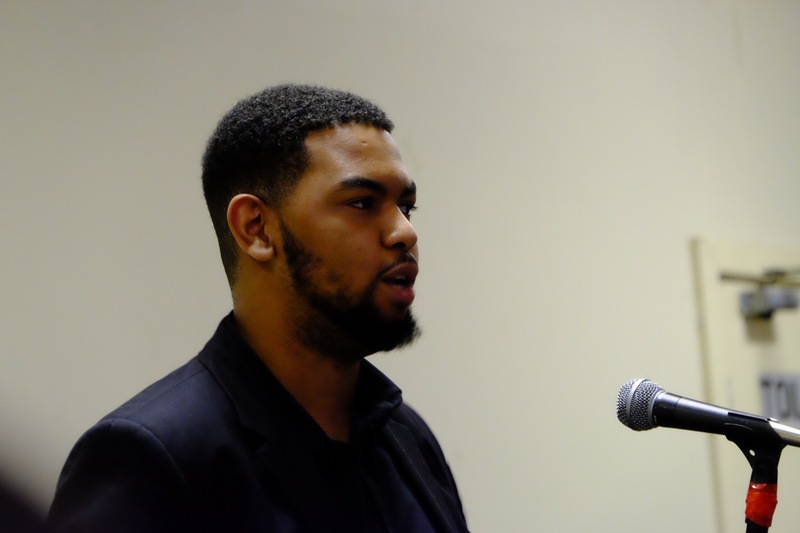 A launch meeting for Cristian Chesa who is standing as a parliamentary candidate for Manchester Gorton will be held at 18.00 on Monday 16th March at the Klondyke (1 Burnage Range). 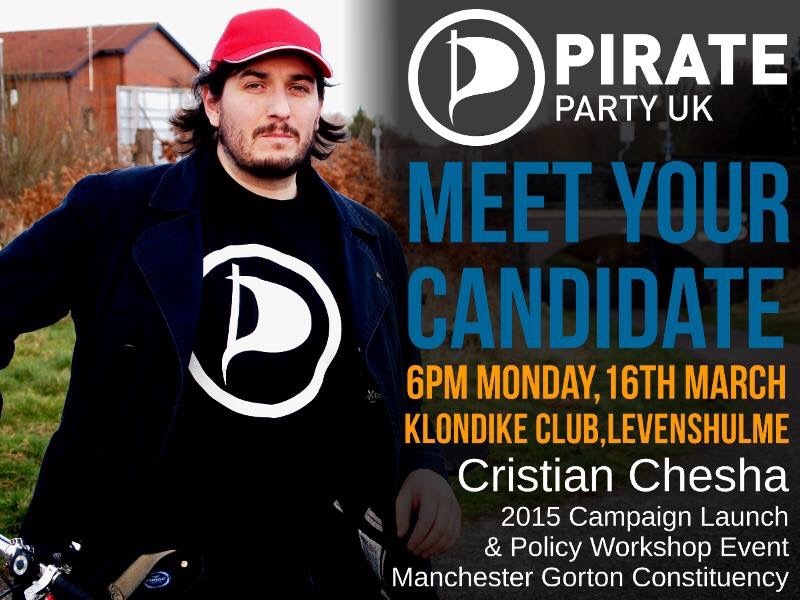 Cristian is standing as a candidate for the Pirate Party UK. 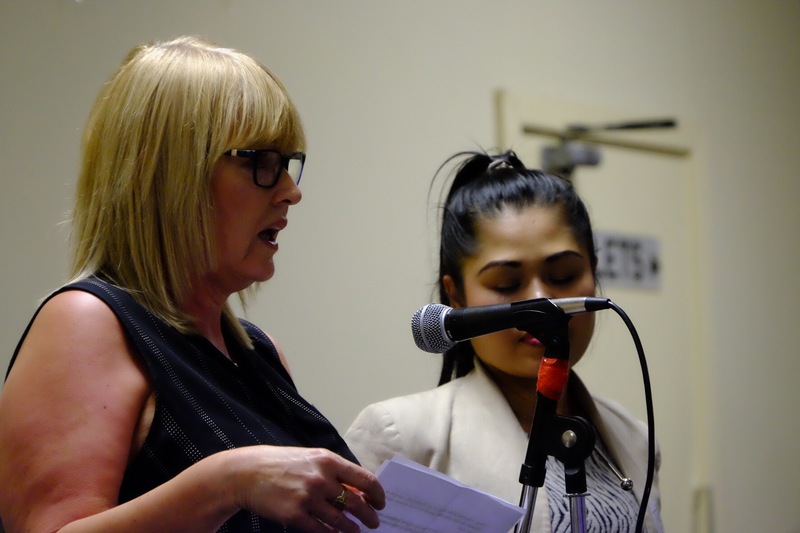 NOTE: Levenshulme Community Association does not endorse or promote any political party or political organisation. Membership of the LCA is not available to any political parties or groups. Any information provided is for information only. 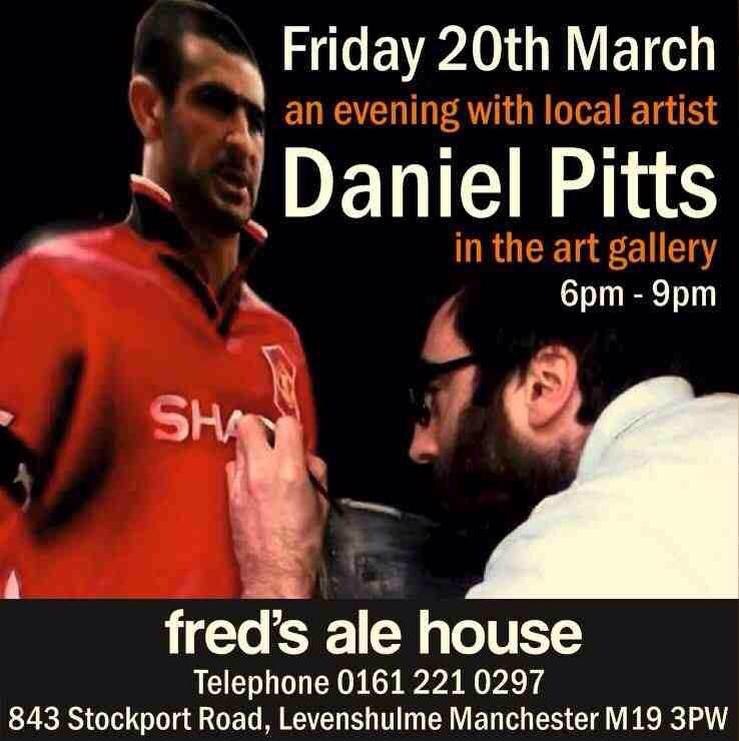 Fred’s Ale House on Stockport Road will be hosting an evening with Daniel Pitts, acclaimed local artist, on Friday 20th March from 18.00-21.00. 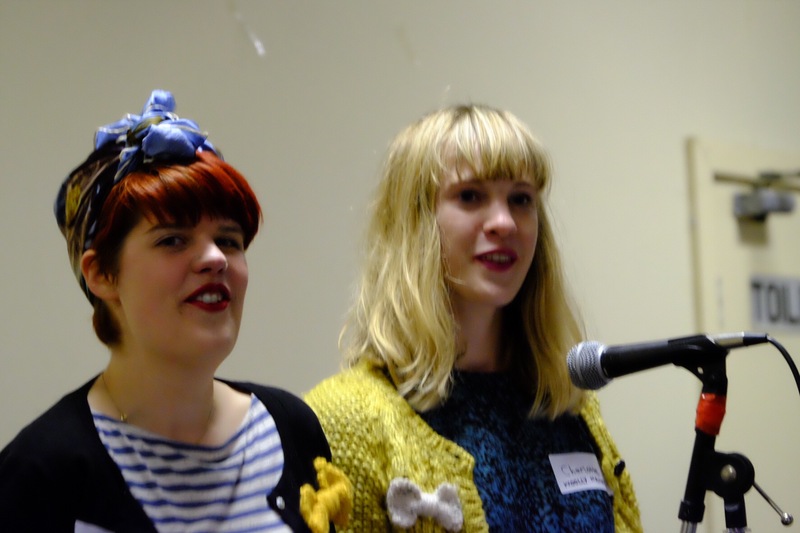 Nelly Globe is a Levenshulme based charitable organisation that aims to develop creative projects and work in partnership with individuals and organisations on a local, national and international level. 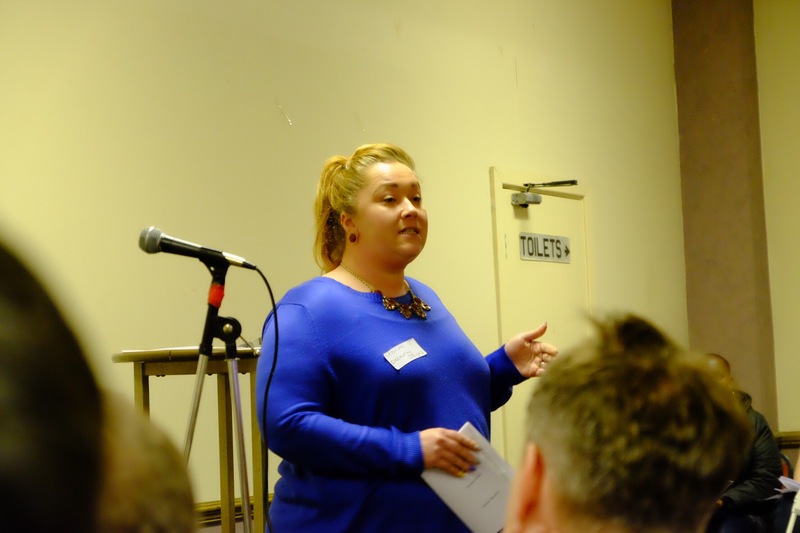 Nelly Globe has recently undertaken a project with the Stroke Association, described below. 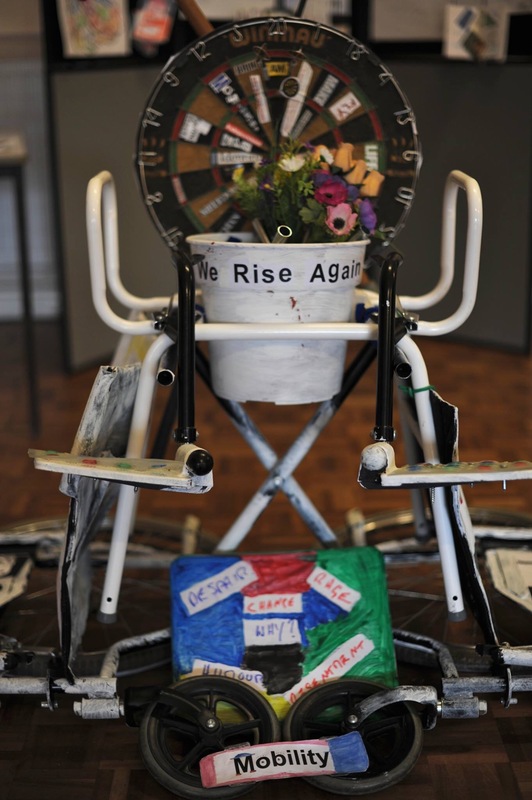 Stroke survivors from Salford have created a unique piece of art to convey their individual experiences of stroke, after attending workshops organised by the Stroke Association and Nelly Globe. 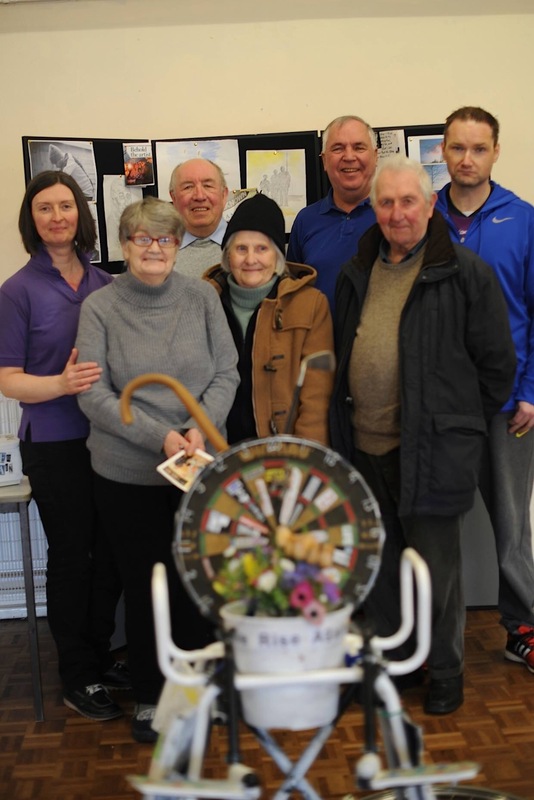 The group of ten stroke survivors and carers took part in weekly workshops at St John’s Church Hall in Pendlebury for eight weeks, from Monday 12 January.Organised by the Stroke Association, the workshops were led by Nelly Globe, acharity which works with people in recovery from trauma, through art lead projects to encourage positive life changes. 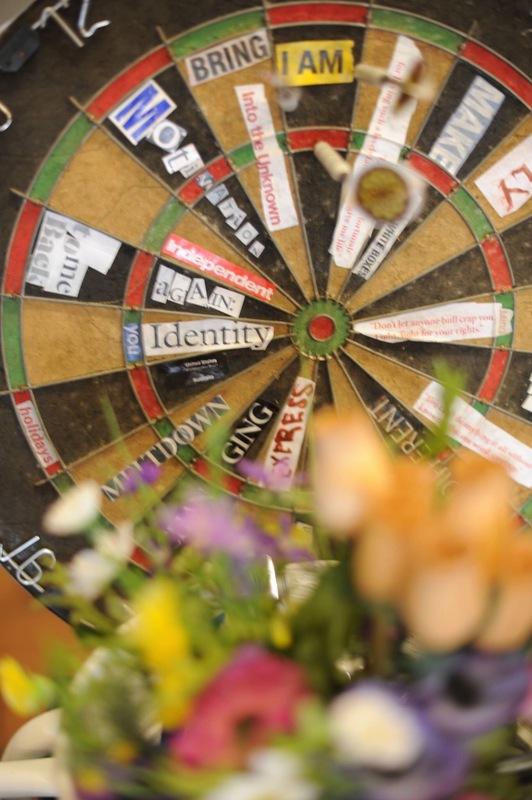 Each week, the group explored different techniques, including word association, photography and art skills. 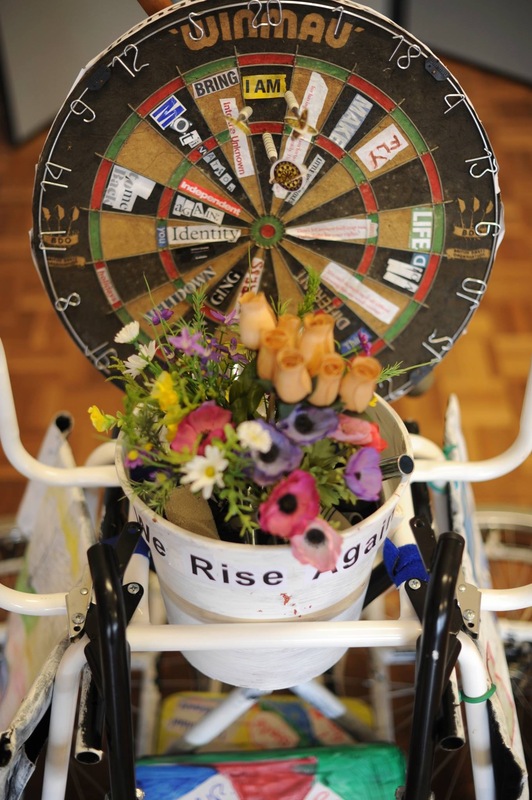 They chose to transform a disused wheelchair into a piece of abstract art, to represent their individual lives and experience of stroke. The finished sculpture will be displayed in an exhibition at Salford Royal Hospital to celebrate Action on Stroke Month in May 2015. Wesley Boardman, 36 from Swinton, took part in the project. He was just 31 when he had a stroke in 2009 and was told he would never walk, talk or swallow again. After being fed through a PEG feeding tube for more than three years, with sheer determination Wesley is now able to eat meals again, cycles and attends the gym three times a week. However, the stroke has left him with difficulties with his balance, mobility, speech and hearing. The Stroke Association provides an Information, Advice and Support Service and Communication Support in Salford, in partnership with Salford City Council and Salford Clinical Commissioning Group. • A stroke is a brain attack which happens when the blood supply to the brain is cut off, caused by a clot or bleeding in the brain. There are around 152,000 strokes in the UK every year and it is the leading cause of severe adult disability. There are over 1.2 million people in the UK living with the effects of stroke. 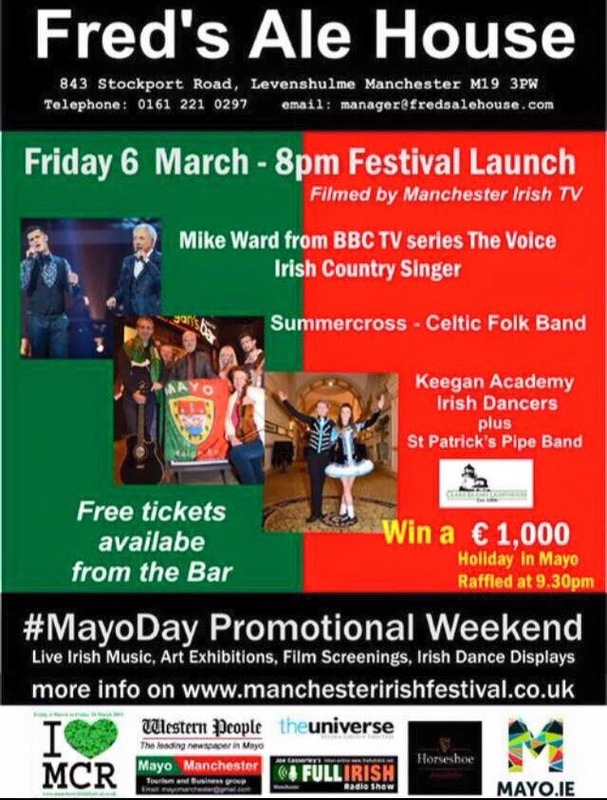 The Manchester Irish Festival 2015 launches at 20.00 at Fred’s Ale House on Stockport Road on Friday 6th March. Stockport FLAG, an advice & guidance charity in Stockport, has been asked if they can re-home an upright piano. The owner would like to donate it to a charity or other good cause rather than have it taken away to landfill. It’s in good condition, but requires tuning and will need collection from Heaton Moor (there are also some steps to negotiate). If you know of an organisation or community group who could make good use of it, and are able to pick it up, just contact FLAG on 0161 474 1042 and they will put you in touch. 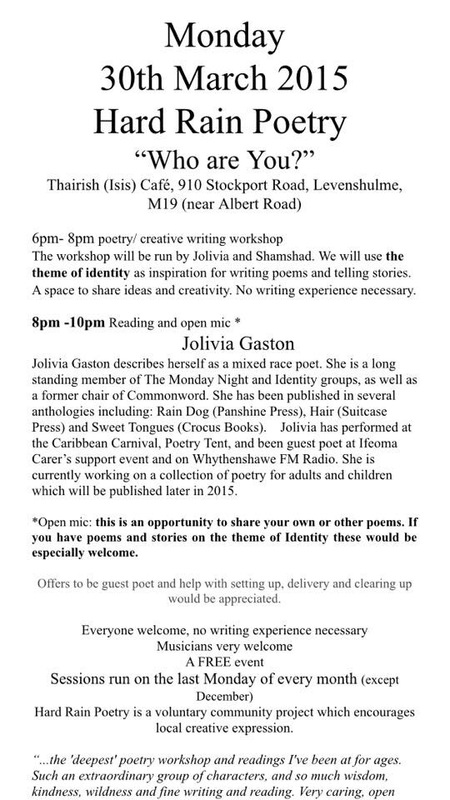 Another Hard Rain Poetry evening hits Levenshulme at Thairish on Stockport Road on Monday 30th March. 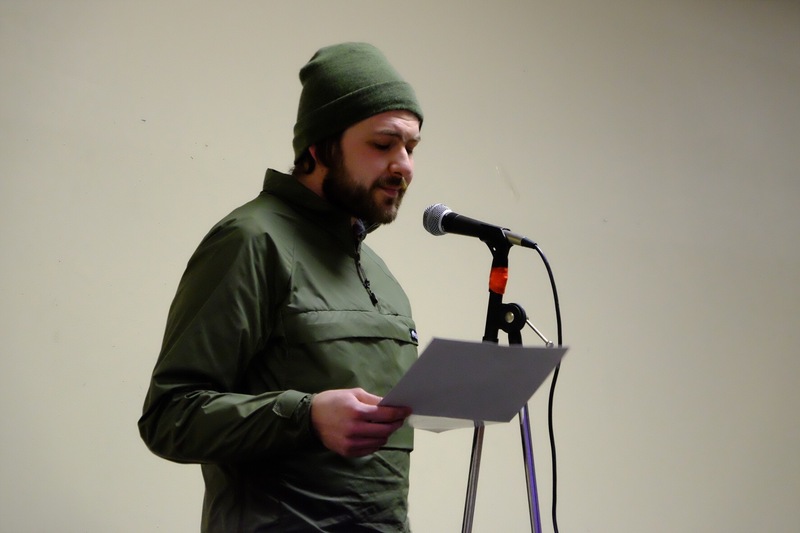 Hard Rain Poetry is a voluntary community project that encourages local creative expression. Meetings are FREE and open to everyone. Do you like Demis Roussos? Levenshulme Players will be performing Abigail’s Party on 24th and 25th April at the Klondyke on Burnage Range. Tickets are £3.50 – £5.50 available on the door or by phoning 0161 225 4674. 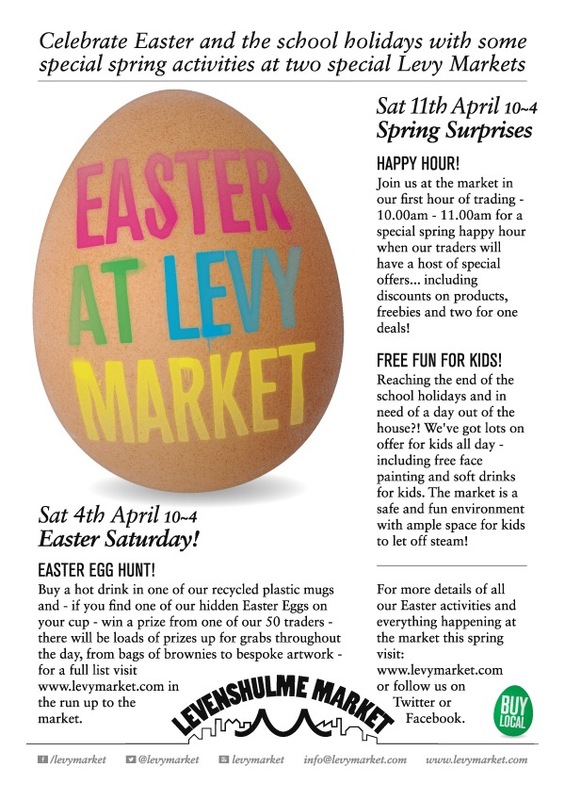 Levenshulme Market kicks off again on Saturday 7th March closely followed by a voting event for the Market Fund 2015 on Sunday 8th March. See the poster below for information including the theme of each market through the year.